ABN has opened applications to its 12-month paid pig industry scholarship placement, in partnership with Harper Adams University. Applications are now live on the Harper Adams placement portal and will close on Friday, November 16, with the scheme to start in July 2019. Bob Dixon, ABN’s national sales manager, said: “We are delighted to be once again running the placement for students from Harper Adams University to get a head start in their careers.Although a background in agriculture isn’t essential to take part in the programme, a passion for the pig industry and pig nutrition, as well as an understanding of the challenges faced within the pig livestock industry, are. Combining on-farm and industry experience, the placement sees time split evenly between two areas. The first involves six months of on-hand experience at Ermine Farms, a state-of-the-art pig farm in Lincolnshire, where students will be exposed to day-to-day pig farm management and gain valuable practical pig skills. This will be followed by an opportunity to gain industry-recognised Certificates of Competence. The second phase takes place in ABN’s head office in Peterborough, offering experience in many aspects of the business, including customer support, nutrition, commercial and formulations. Not only this, but students will have the chance to work with other companies that operate under AB Agri, ABN’s parent company, in order to broaden their understanding of the industry as a whole. 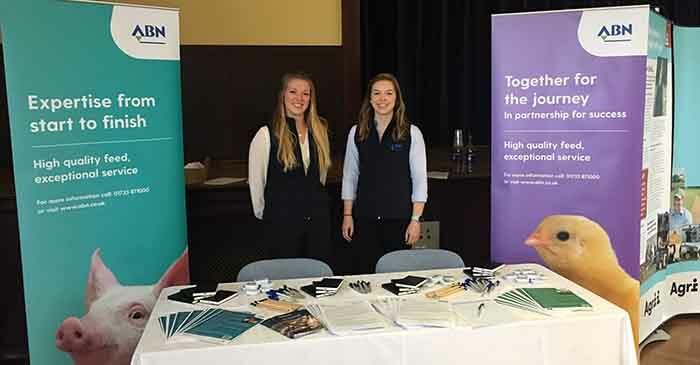 Past successful candidates include Kelly Hoodless who joined the placement scheme in 2015 and is now employed at ABN full-time as an account manager in the pig sales team. She said: “I completed this placement during my BSc Animal Science degree at Harper Adams University. The split-programme was priceless as it allowed me to gain experience in pig farm operations and then the opportunity to apply this technical knowledge in a commercial setting, which really was the best of both worlds.